At Advanced Periodontics and Implant Dentistry located in Manhattan, NY and Nutley, NJ, Dr. Richard Nejat , Dr. Daniel Nejat and Dr. Eugenie Lee perform the latest treatment for gum recession. This new technique is called the Pinhole Surgical Technique and is the most technically advanced procedure being performed at this time by the most technically skilled, board certified specialists at our NYC and NJ offices. 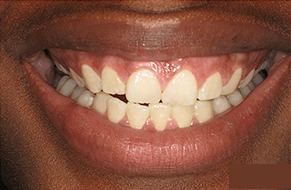 Unlike the traditional technique for gum surgery, typically gum grafting, an invasive procedure requiring removal of the tissue from the roof of the patient’s mouth and stitches to cover the exposed root resulting in extensive downtime of up to ten days and possibly requiring multiple treatments; the pinhole technique is virtually pain free, minimally invasive and requires far less recovery time with immediate results. See how the Pinhole Procedure works! 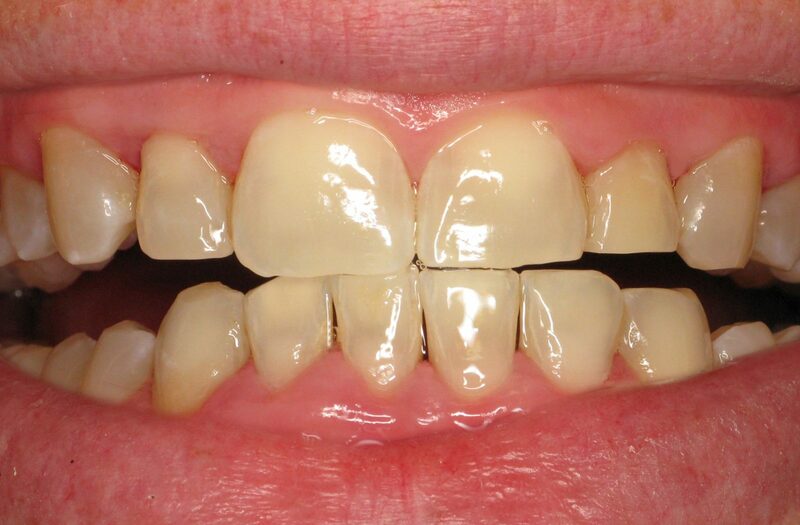 Gum recession can be uncomfortable and cause sensitivity as well as an aesthetically unpleasant gum line. When you are uncomfortable and unhappy with your smile, you smile less. When it hurts to eat or drink something, you sacrifice. 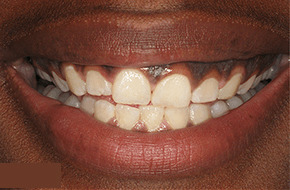 In addition recessed gums can lead to additional health issues and can affect your overall well-being. The Pinhole Gum Surgery is a pain-free, scalpel free, suture free and graft free procedure to improve gum recession. Gum recession occurs when the gum tissue along the gum line recedes exposing the root of the tooth. This can occur as a result of periodontal disease including gingivitis, periodontitis and advanced periodontitis, the natural aging process, or brushing the teeth abrasively. Unfortunately brushing your teeth harder does not mean you are brushing any better. 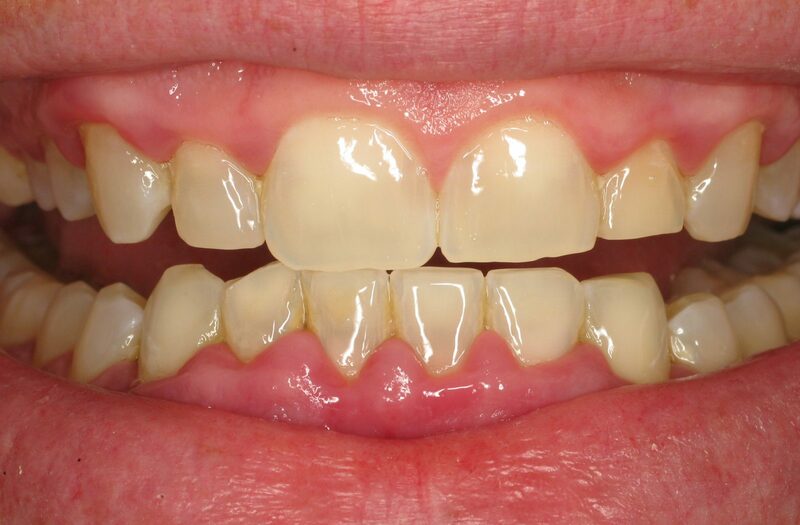 Why is it important to treat gum recession? When the root of the tooth is left exposed due to gum recession, decay and other problems can affect the overall health of the teeth above and below the gum line. Healthy gums are necessary for a healthy mouth and treating gum recession is necessary for lasting dental wellness. How is the Pinhole Surgical Technique Performed? Performed with a specially designed pin-like instrument, a small hole the size of a ball point pen tip is made and the gum tissue is carefully loosened allowing the gum to be placed over the exposed or receded area. Collagen is then placed through the pin sized hole to keep the gums in place and most patients are surprised to see an immediate cosmetic improvement. Because there is no cutting or stitches required, there is minimal post operative pain, swelling or bleeding and the pin-sized hole typically heals within 24 hours. What are the differences between the Pinhole Surgical Technique and Traditional Gum Grafting? Gum grafting is an incision made on the roof of your mouth to remove gum tissue. In some cases an alternative source or tissue bank is required. Another incision is then made and the tissue is connected to cover the exposed roots using stitches to keep the site closed. With the Pinhole Surgical Technique, a small, pin-sized hole is made as an entry point in order to loosen the gums and stretch it over the exposed root. Collagen is then placed to keep the gums in place. No cutting or stitches are required with this minimally invasive technique. The Pinhole Surgical Technique gives us a less invasive option to address and treat recession. 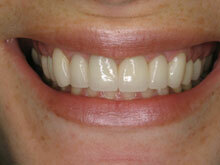 With traditional gum grafting only a few teeth can be treated at a time. 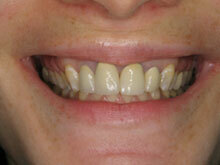 With the new Pinhole Surgical Technique we can work on numerous teeth including the full mouth in most cases. Because we are using the existing gum to move into position, we are able to treat a much larger area without the restrictions that are encountered with gum grafting including cutting, removing and grafting existing gum tissue. Gum grafting can take 90 minutes or more to complete. The new Pinhole Surgical Technique takes half the amount of time compared to connective tissue grafting. Traditional Gum grafting requires cutting and stitches and can take 14 – 21 days to heal with many restrictions, pain and swelling. The new Pinhole Surgical Technique has virtually no recovery time. No Cutting, No Stitches, No Downtime! You can easily repair your gums and repair your smile during your lunch break and go back to work the same day. The pin-sized hole heals quickly and is almost undetectable in as little as 24 hours. Call us today at (888) 558-4229 to schedule a periodontal consultation and find out if the Pinhole Procedure is right for you!